Whenever I can, I find the excuse to appease my much needed drawing/painting fix. 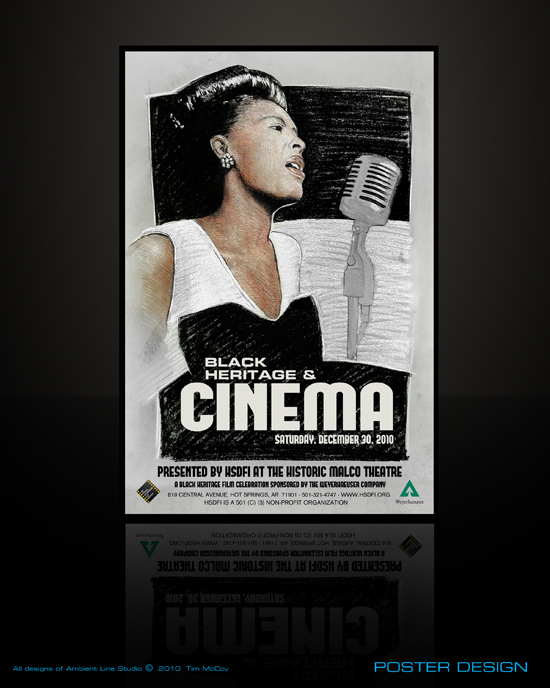 Since things have slowed down a little after the fantastic festival fiasco, I took initiative to make something a little nicer and tasteful for the upcoming Black Heritage & Cinema at the Malco. One of the films being shown is about Billie Holiday. Anyone who knows me should be aware of the fact that I’m a big Lady Day fan. 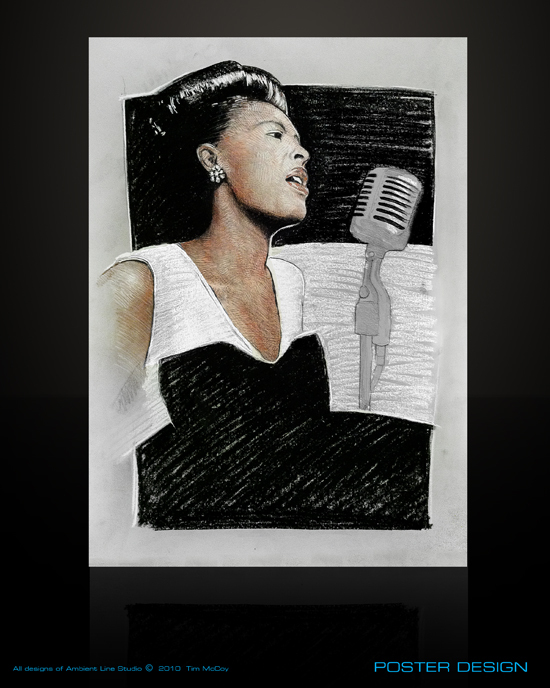 So, what would be more appropriate than a drawing of Ms. Holiday? This is what I threw together in one night using conte and charcoal on canson 19″x25″. I have to say, the folks at HSDFI were ecstatic.